How far would you go to be a mother? This young woman had to make a sudden decision. Faced with a painful medical condition that threatened her fertility, Gloria Chueca Puerto-Mendoza didn’t have the luxury of time. Would you spend four years, and all your savings, without a partner to help? Many women wrestle for years with all the decisions tied to becoming a mother — how and whether to find a partner, how to balance children with career, whether they’re waiting too long to have children. But what if you didn’t have years to figure it all out? What if, at age 21, you needed to make a plan and act now? And worse, the odds were stacked against you? Gloria Chueca Puerto-Mendoza was 18 when doctors first told her it would be difficult for her to ever get pregnant. Since childhood, she had suffered from endometriosis, a disease in which tissue that normally lines the inside of the uterus grows outside it. Ruptured cysts wreaked havoc on her system. She’d had six surgeries to help relieve the pain. It’s a condition that affects about 5 million women in the United States, some more seriously than others. When Gloria was 21, doctors warned her that she’d probably go through menopause by age 28 — plus she had a cyst that, if fully removed, would have taken much of her uterus. “If you want to have kids, right now would be the best time to try,” she recalls doctors telling her. One recommended she not even try, saying it would be futile. The latter offended her — she didn’t want some stranger deciding her fate. At the same time, she didn’t feel financially or emotionally ready to become a mother. She had a job at Sears in Southcenter Mall, and spent most of her free time partying with friends. She talked her dilemma over with her boyfriend at the time, but he was unsure if he was ready to be a father. They broke up. In many ways, Gloria hadn’t realized how much she wanted children until she was told she might not be able to. She is part of a big, sprawling family with roots in Honduras as well as Bremerton, where she grew up. She has nine siblings, including half-siblings, and stepsiblings, and attentive aunts and uncles. “It’s our culture, we’ve been a tight family, always had brothers and sisters — being a mom was just ingrained — ‘inculcado,’ ” she said. She quit her job at Sears and became a certified nursing assistant, working long 72-hour rotations in clients’ homes, and saving as much money as she could. After researching her options, she decided to pursue intrauterine insemination (IUI), a slightly less expensive and less invasive fertility treatment than in vitro fertilization. For IUI, a doctor places sperm — often from a donor — inside a woman’s uterus. The first time — no baby. Still hopeful, she tried again, but no luck. After the third, she was mentally and emotionally exhausted, worried she should have put her money toward adoption instead. She decided to give up — until her dad, her closest confidant, sat her down. “You’ve made it so far,” he told her, reminding her she’d spent four years getting to this point. She took a monthlong break, then tried again with the fourth, and last, vial. She was happy — but also frightened. While she’d been scared she’d never have a child, now that it was happening, she feared she couldn’t handle being a single mother. Still, she thought that for at least a few months, she’d settle into the role of expectant parent, buy a crib, prepare the nursery and wait for the baby to come. Once again, it wasn’t that easy. First, she developed hyperemesis, which she described as “morning sickness times a million.” She lost 13 pounds in two weeks, and ended up in the hospital with dehydration. 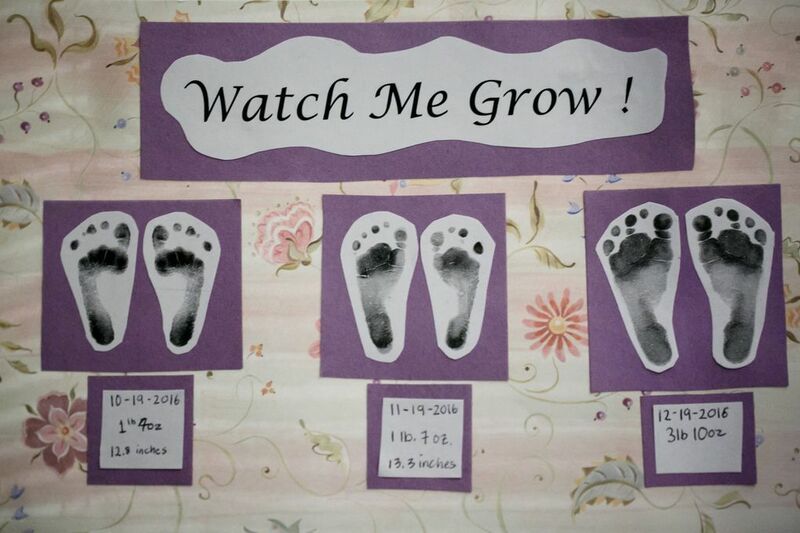 Then, two weeks shy of her third trimester, she started having signs that labor might be starting. The obstetrician at the nearest hospital quickly arranged a transfer to UW Medical Center, which was better equipped for premature births. Three days later, the baby — a girl — came out in one push, weighing 1 pound, 4 ounces. 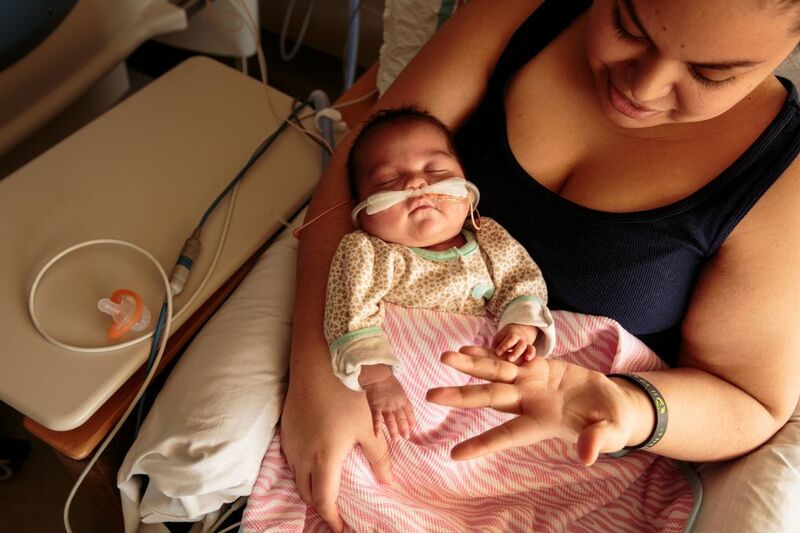 She was what doctors call a “micropreemie” — a baby born before 26 weeks gestation or weighing less than 2.2 pounds, conditions that can lead to complications, if the baby survives. Gloria didn’t see her until an hour later. Before they brought Lola to her, doctors and nurses warned: She is not going to look like a baby. Her size, her skin, it will all look different. 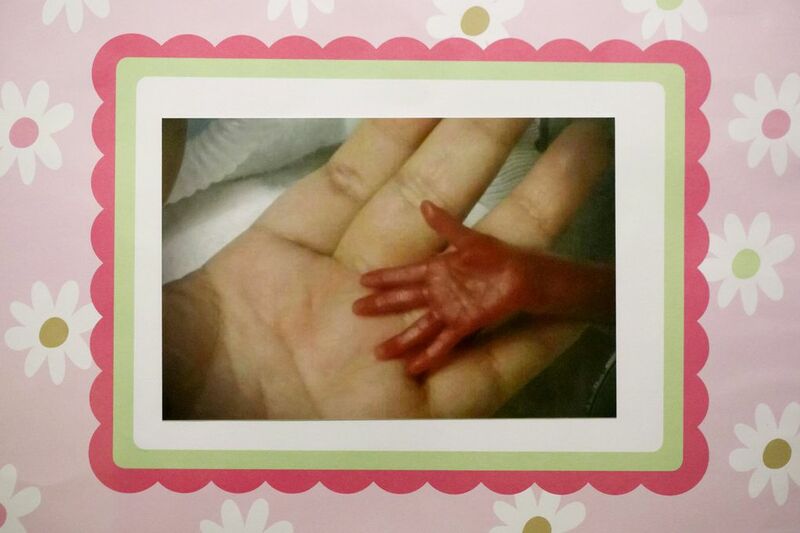 When they finally met, Lola’s tiny hands could barely wrap around Gloria’s fingertip. They didn’t leave the hospital for four months. Gloria was afraid to hold her daughter at first, because she was tiny and seemed so fragile. But she learned from the nurses how to properly care for her, and over time felt more confident taking her out of the bed, changing her diapers and holding her for long periods of time. Through it all, Gloria focused on the positive. Yes, Lola struggled because she was born so early, but she was doing OK. 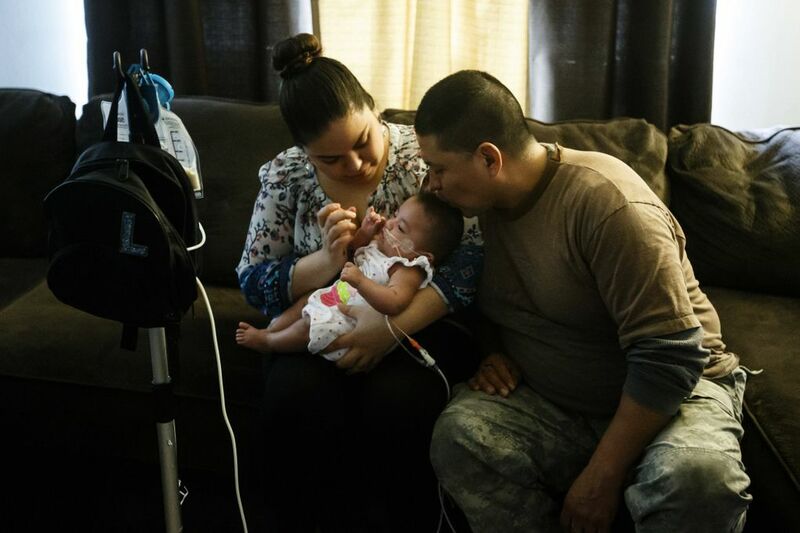 Finally, in mid-February, Gloria and her dad loaded Lola, her stroller and her oxygen tank into Gloria’s dad’s truck and headed home to Bremerton, where her dad had prepped a second-floor room in his house for them. Lola is now nearly 7 months old. She still has to go to the UW for checkups and has weekly, at-home appointments with an occupational therapist and a physical therapist, as well as a speech therapist who helps with eating skills. 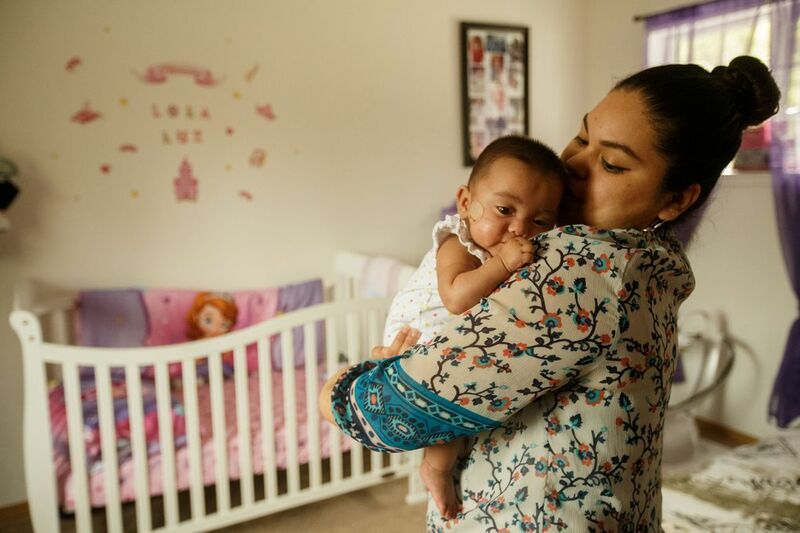 Gloria monitors Lola’s oxygen levels and replaces her daughter’s feeding tube, often with the help of her dad, who whispers baby-talk in Spanish to distract Lola from the discomfort. She is also working part-time from home, doing clerical and scheduling work, an arrangement her boss made so she could still work while juggling all of Lola’s daily needs. But Gloria now has more decisions to make. Once again, Gloria is asking herself: What’s she willing to do to have a child? She’s still not sure what she’ll decide. 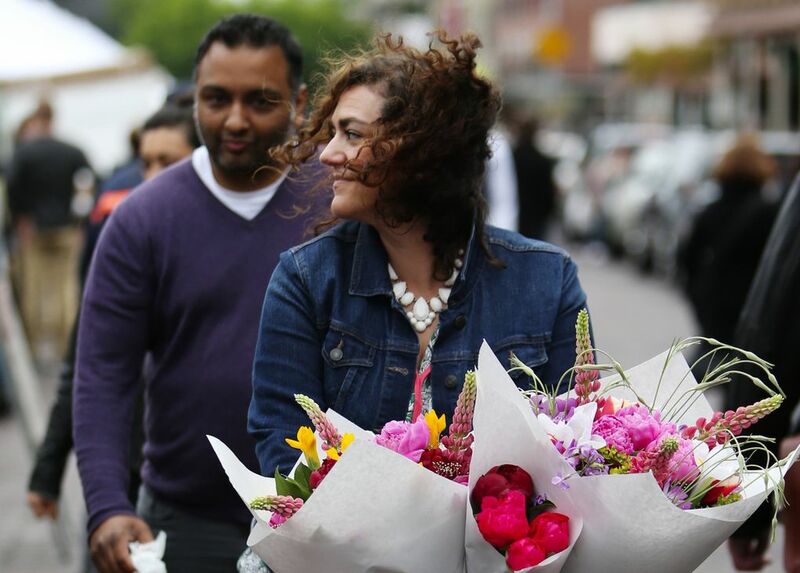 Seattle Times photographer Erika Schultz contributed to this story.